You’re invited to join the next WordPress Medellín meetup on October 30th, 6:00-8:30pm. This meetup is for anyone who wants to start building plugins. 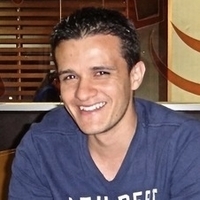 First, Toptal developer Willington Vega will give an introduction to plugin development for Wordpress. Next, Diego Giraldo will give more detail on the essential concepts of creating plugins. You will learn how to build and insert a page plugin for reporting problems, and how to configure it to send issue reports to the administrator.